If you’re on Twitter, you may have encountered PlatinumGames director and Bayonetta 2 writer Hideki Kamiya, famous for calling his followers “insects” and blocking anyone who doesn’t speak Japanese. What you may not know is Kamiya loves the Nintendo Switch very much and has a huge collection of games on it. First, here’s a photo of Kamiya’s Nintendo Switch. Interestingly he has a white Joy-Con, which we assume is a custom paint job. 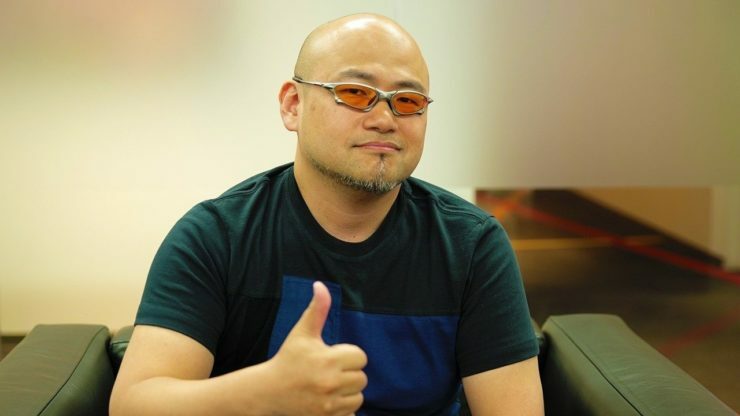 Games Hideki Kamiya frequently downloads include Arcade Archive titles and ACA NEOGEO titles. There’s also Inside and Limbo. While working at Capcom, one of the games Hideki Kamiya worked on was Okami, so it’s no surprise he’s buying Okami HD. The PlatinumGames director also has an acquired taste for games that feature girls..
You should have probably noticed by now Kamiya doesn’t really buy games at retail, as he prefers to download them. Here’s a recent physical purchase he made – the Gold Famicom Classic Mini. It was apparently ordered online.